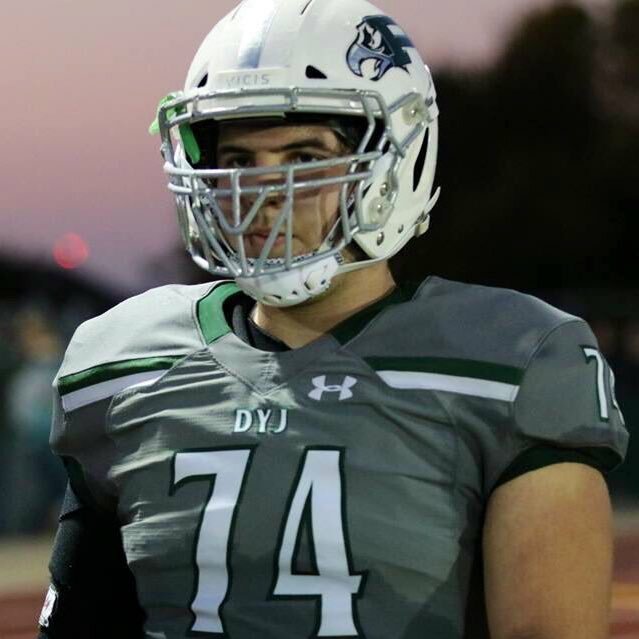 The state of Texas has several blue-chip offensive line prospects in the 2020 cycle. Tom Herman and Herb Hand landed their second offensive lineman for the 2020 class when Prosper OL Jake Majors committed to Texas. Majors had offers from Stanford, Oklahoma, Missouri, and Washington among others. The Texas staff realizes the importance of landing a talented 2020 offensive lineman class. Landing Majors is a sign of the urgency the Longhorn staff is operating with in order to land the best OL class it can for the cycle. “First play is a thing of beauty. It’s exactly what I always tell my kids when you get a pancake. You get up dragging your nuts across their face. He’s about as technically proficient and nasty of an OL as I have seen in a long time. I don’t know Prosper’s OL coach but he is pretty good. He has him doing some fairly advanced things. The one thing I don’t like is he teaches individual hands in pass pro rather than hands that work together but that’s a philosophical difference, it’s not wrong. Anyways, he does an excellent job staying square in climbing in the run game. One thing I would point out is his backside cut offs in zones. A lot of times backside cut offs become just washing the guy you’re combining to down. It’s not wrong because it still creates a cut back but the cut back now happens on the backside of the tackle rather than the front side. This creates more lateral rather than vertical cuts and thus, typically, less yardage on it. It also makes it easier for typically unblocked backside defenders to fill. What he does pretty well, though not all the time, is fight with his playside hip to win that playside gap and take control of the playside shoulder. This allows a quicker vertical cut and more yardage and gets you into the secondary quicker. For the 2018 class, we saw the staff take a slow, measured approach to linebacker recruiting. This resulted in only one traditional linebacker signee. To compensate, the staff increased its aggression at the position and signed a very good four-man haul in 2019. We’re seeing something similar with offensive line recruiting as the current and future cycles overlap. Texas now has as many 2020 commits as it does 2019 signees, and is looking good to add more high quality players. Jake Majors is a sensational get for a number of reasons, an obvious one being his ability to come in and compete for playing time earlier than most high school linemen. With Texas shorting numbers at the position in the previous two cycles, Herb Hand will benefit from players who will respond to expedited developmental timelines. Already technically proficient and with a nasty field disposition, Majors is just lacking understanding of the playbook and about 15 pounds. Those two traits come much easier than the first two, especially if he enrolls early, which is still up in the air. Due to the length of time it takes to be field ready, offensive line has the greatest variance in boom or bust of any position. One way to combat that is by taking players with high floors like Majors, like fellow commit Logan Parr, and like a couple of other players Texas is after. Majors’ floor will get him on the field relatively early, from there we’ll get a better idea of what his ceiling is. Majors is the third member of Texas’ 2020 class joining Logan Parr (Helotes O’Connor), and Hudson Card (Lake Travis).